How long would it take you to walk to the nearest grocery store? 5 minutes, 10 minutes, 20 minutes? We all have a walking pace that feels natural to us, and we would settle into that pace on a walk to the store. Because the speed with which we move is so common to us, we have the ability to average how long it would take us to make a simple journey. Now, let me ask you another question . . . how long would it take you to walk to the store WITH someone? While you might be able to approximate the pace of your own walk, you would need to ask a few more questions before guessing the time it would take to make the same journey with another person. After all, you may be walking with Wang Zhen (Olympic Gold medalist in the 20KM walk). You might get there faster than advertised if he was your travel mate! Or you may be walking with your friend’s two year old – a companion that no doubt would make the trip longer than expected. When you travel with someone the goal is not to just GET THERE, but to get there TOGETHER. This impacts the pace of your journey. 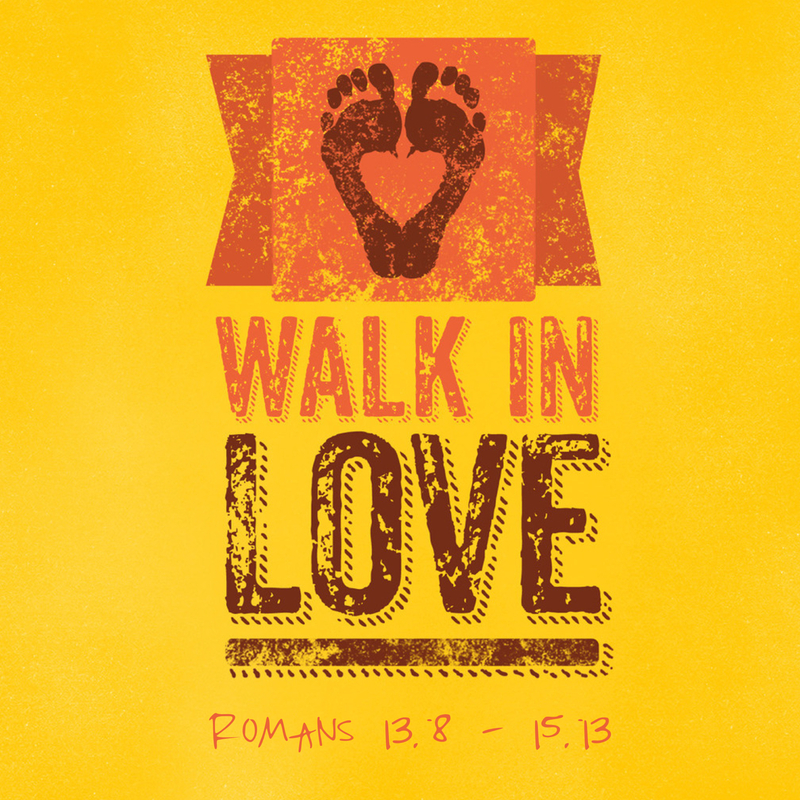 I share this today because we have been moving through Romans 13-15 recently at Wildwood Community Church in a series called “Walk in Love.” This Sunday, October 16, we will be in the fourth part of this series. In this section, the Christian life is described as a walk. But what is so fascinating is that the walk of the Christian life is not a personal stroll, but a journey we make together. This is the clear implication of the section of Romans we are looking at this week (Romans 14:13-23). In this section, we are called to “slow down” in order to walk in love with those other Christians God has brought into our lives. The purpose of this is so that we can get “there” TOGETHER, as we minister to each other in love. What does this mean? What does it look like? How does it apply to our lives? Join us Sunday in our 8:30, 9:45, or 11:00 worship service as we will explore this together. We will also be having communion together in our services. Make plans to join us and bring someone with you!